Is Richard Dawkins an atheist or a God-hater? However, is Dawkins really an atheist? What do atheists like Dawkins believe (or not believe)? 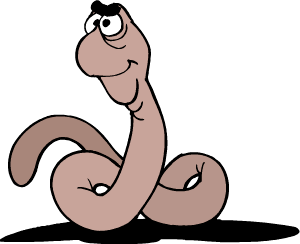 So life is a farce, basically, and when we die, we become mere worm fodder and ultimately fertilizer to feed plants. Such is the lot of a true atheist who believes only in nature, with no supernatural Creator. But why should anyone serve humane ideals? If we are just atoms, mere matter, what does it matter that people are humane or not humane; whether people suffer or don’t suffer? Whether we have good relationships or bad? Whether people are happy or unhappy? Ultimately we will all become fertilizer anyway, so why should anything matter for these few short years of life? And why should it matter whether people believe in God or don’t believe in God? 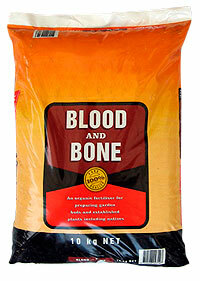 Ultimately, in the atheists’ way of thinking, we all will end up as fertilizer, whether we believe in God or not. And the universe when it runs out of energy will die in a big whimper, so why should it matter to any real atheist? Methinks he doth protest too much! To the atheist, we finish up as mere fertilizer, plant food; nothing more. Dawkins’ proselytizing ways remind me of my pimply youthful days at boarding school where those into smoking cigarettes and boozing (worse was yet to come) seemed to be really keen to get others to follow their destructive and illicit behaviour. Why did they try to coerce their fellow students into doing such things? Was it ‘safety in numbers’, that they felt a little guilty for their behaviour and would feel more secure if they could get more to join in their little rebellion? It’s no wonder that Dinesh D’Souza, in his new book What’s So Great About Christianity, has a chapter called, ‘Opiate of the Morally Corrupt: why unbelief is so appealing’. To me, Dawkins seems quite insecure in his stance as he feels the need to convince others to join him. On the other hand, Christians try to convince others of the rightness of the Gospel because they believe that people, made in the image of God, have an eternal destiny and without Christ they face a truly bleak future. Oh, yes, Dawkins, to try to justify his atheist ‘crusade’, does argue that ‘religion’ (i.e. Christianity) is bad for society. But this flies in the face of the history of his own country, which flowered because of the Reformation and the Great Awakening. The latter spared Britain the horrors of Robespièrre’s deism/atheism-inspired bloodbath of the French Revolution, which was hardly ‘humane’ (a word used repeatedly in the Humanist Manifesto III), and engulfed Robespièrre himself. It is also why slavery, a blot on humanity that permeated the entire world, was first abolished by British evangelical Christians like Wilberforce, in the face of pro-slavery opposition that told him to leave religion out of politics.8 Indeed, Dawkins has recently grudgingly implicitly admitted that Christianity has permeated his country’s culture, calling himself a cultural Christian. We could also mention the 200 million cost in human lives and untold suffering due to the atheism-inspired political movements of the last century: Communism and Nazism. Also, evolutionary ideas inspired the more recent teenage mass murderers such as Eric Harris and Dylan Klebold, and Pekka-Eric Auvinen.9 Is Richard Dawkins so ignorant of history that he really thinks we would all be better off if we were all atheists? No, I don’t believe so; he is quite well read. And what does it matter anyway to a real atheist if we would be better off or worse off? In the end we are only a fluky arrangement of atoms that will end up being plant food! 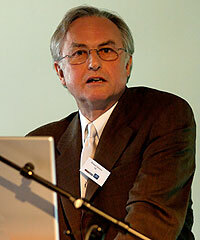 Is Richard Dawkins an atheist or a ‘Misotheist’? So, is Richard Dawkins an atheist? He seems more like a God-hater than a genuine atheist. That’s why my colleague, Jonathan Sarfati, invented the word ‘misotheist’ (hater of God10), which he has applied to Professor Dawkins and other fanatical opponents of the God of the Bible. George Orwell identified this sort of ‘atheist’ in the character of Bozo, in Down and Out in Paris and London: ‘He was an embittered atheist (the sort of atheist who does not so much disbelieve in God as personally dislike Him)’.11 Interestingly, in The God Delusion, Dawkins carries on about what he doesn’t like about the God he doesn’t believe in. Dawkins likened himself to ‘the Devil’s Chaplain’, the title of a compilation of his essays.12 However, the Devil does not disbelieve in God; he knows only too well that God is real (cf. James 2:19). The Bible indentifies him as ‘a liar and the father of lies’ (John 8:44); so what of ‘the Devil’s chaplain’? Perhaps Dawkins did not think very carefully about this biblical allusion! If Dawkins really believed what atheists supposedly believe, he should just put his feet up with a bottle of scotch and just enjoy himself as he waits for his death and his consumption by worms so he can fertilize the grass. Getting his blood pressure up over people believing in God all seems rather futile, if atheism is true. But perhaps it isn’t? Ah, there’s the rub. The fool says in his heart, ‘There is no God’. (Psalm 14:1). 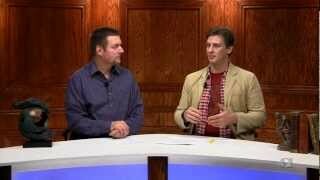 See Bell, P., Atheist with a mission; a review of The God Delusion, by Richard Dawkins; creation.com/delusion. Return to Text. The Humanist Manifesto III http://www.americanhumanist.org/3/HMsigners.htm Return to Text. Dawkins, R., River out of Eden, Weidenfeld and Nicolswi, Chapter 4, 1995. Return to Text. Dawkins, R., The Blind Watchmaker, W.W. Norton & Company, New York, p. 1., 1986. Return to Text. Nagel, T., The Last Word, Oxford University Press, New York, 1997, p. 130. Return to Text. Huxley, A., Ends and Means, pp. 270 ff. Return to Text. Sarfati, J., Anti-slavery activist William Wilberforce: Christian hero, Creation 29(4):12–15, J. of Creation 21(2):121–127, 2007; creation.com/wilberforce. Return to Text. Catchpoole, D., Inside the mind of a killer: The Finnish high school tragedy once again shows that ideas have consequences; creation.com/killer, 9 November 2007. Return to Text. From Greek μισέω miseō = hate; θεός theos = God. Others invented the term independently. Return to Text. After Barnes, P., The heart of a fool, Evangelical Action, Oct.–Nov., 2007, p. 23. Return to Text. See also Bell, P., The humanist apostles creed—that which a Devil’s Chaplain might write , 4 October 2004. Return to Text.